Educational access and excellence in research and teaching are the backbone of the student experience at Wharton and Penn. Financial aid attracts the best students from every background; abundant resources for groundbreaking research and innovative teaching attracts star professors. Bolstering our ability to better support all students and faculty is one of the essential drivers of this campaign. Begin a lifelong legacy and commitment to higher education today. Learn more about supporting students and fueling teaching and research at Wharton. A named scholarship provides much needed aid to students for whom attending Penn would be an unbearable financial burden. Students who receive aid graduate with significantly less debt than they would otherwise – meaning they can choose a career path based on their passions, not on their financial obligations. For many students, financial assistance means that they can work less during the school year and participate in leadership activities; summers can be spent on horizon-expanding travel and internships that will help them achieve their career goals. An elite business education is still in demand – and the best students are as well. 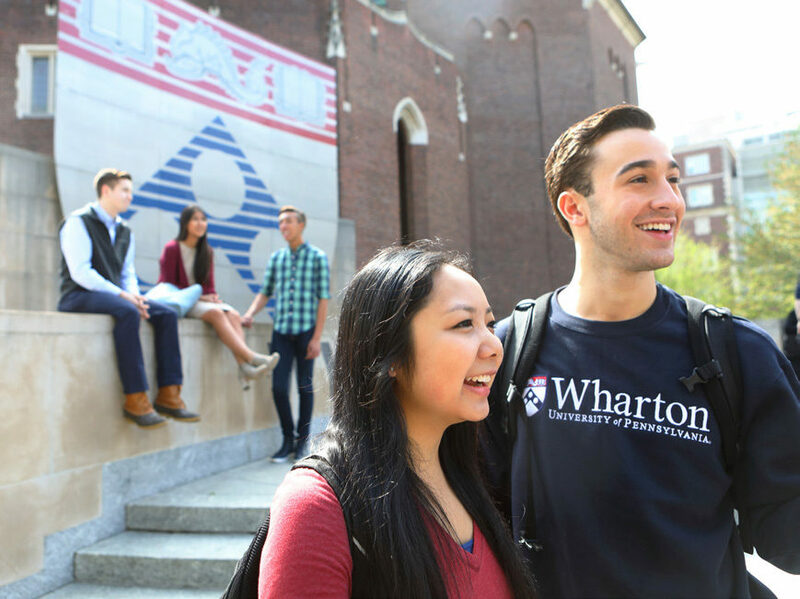 Students admitted to Wharton are the cream of the crop; other business schools can entice them with significant financial aid packages. Merit-based fellowships for MBA students ensure that Wharton continues to attract up-and-coming leaders, those who are unafraid to take risks and who constantly challenge themselves and their peers in the classroom. But the MBA experience at Wharton is much more than just coursework. Wharton offers students immersive local and international experiences such as Leadership Ventures and Global Modular Courses. The cost of these offerings go beyond tuition and fees; Wharton is increasingly committed to providing students with financial support to take advantage of these life-changing opportunities. In the academic world, as in business, demand for top talent is intense. Endowed professorships help Wharton compete in this marketplace. The prestige of a named professorship often represents a turning point for faculty in their careers, giving them the confidence and resources to take academic risks and move into uncharted realms of scholarship. Business is going interdisciplinary with MBAs now finding unconventional leadership roles. Are Leaders Born … or Made?